Did this come with instructions? Can someone scan them for me if they did? 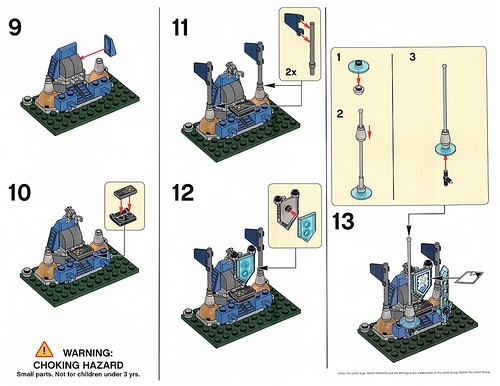 I got the set, but no instructions (cannot tell if complete). 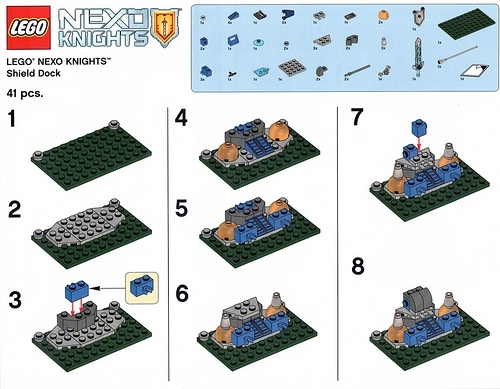 I didn't receive instructions either when we went but just google Nexo Knights shield dock and found instructions online to rebuild. That is where I found the instructions, but they link to Flickr. Could you screen capture from Flickr and then print that? anybody got a spare of this set for trade/sale? Is the sticker exclusive like the jurrasic park gate? I don't know if the sticker is exclusive but at my TRU, they wouldn't give us the sticker until we finished the build correctly.